it’s official – this year is going by too fast. i don’t know where it’s gone. 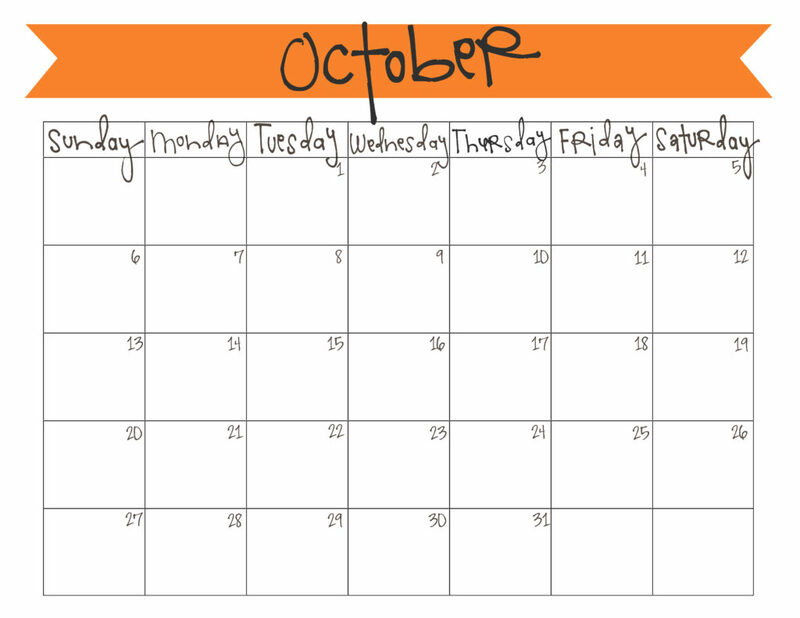 but september’s almost over so here’s another free printable october calendar for you to jot your life in! happy autumn! Thank you for the very creative calendar. It looks great on my cubicle wall. I have been using your printable calendars at work for the past couple months and absolutely love them! Even my co-workers have started using them because they are so cute. Is there any possible chance you would release the calendar for the next month a week or so sooner..?